Guru Dev (1871-1953) was the Shankaracharya of Jyotir Math from 1941 to 1953. Shankaracharya is a revered spiritual title in Hinduism. Guru Dev's teachings are in the process of being gathered and translated. Some are already translated by Paul Mason and published on the Internet and in a series of books. Below are extracted Guru Dev statements. From "Guru Dev as Presented by Maharishi"
Sri Shankaracharya Brahmananda Sarawati (1871-1953), or Guru Dev. Maharishi Mahesh Yogi asserts that Guru Dev is the Benevolent One of the TM movement. Paramatma or Paramatman: the Absolute Atman or Supreme Soul or Spirit (Supersoul) in Vedanta. Paramatma is one of the aspects of Brahman. Shankaracharya: Adi (= the first) Shankara. Some think he lived in the 800s AD. The Indian monist consolidated the doctrine of Advaita Vedanta (non-duality teachings), and established five papal-like seats (mathas, maths) in India to guide the Indian religion. Indian heritage owes much to him. An Ishta-devata or Ishta-deva means "cherished divinity." It is the tutelary deity, favourite deity, cherished divinity (deva) - a form of the same all-pervading Brahman.. "Within Smartism [! ], one of five chief deities are selected," informs Wikipedia (s.v. "Ista-devata"). Many more ishtas are around too. In the Smarta and Bhakti schools of Hinduism, practitioners choose to worship the form of God they cherish the most. Each cherished divinity (ishta devata) has its own tradition's symbol-laden iconography and mantra-forms (syllables to intone) for japa, meditation and worship. Tend to spiritual development by getting a suitable mantra and meditate copiously on it. A suitable mantra has to be found or given. Because the world is moral at its depths, stick to decent conduct and refrain from sinning. Seek to profit from decent opportunities for successes in life. And it does not hurt to be careful not to get overly involved while working for an income and all that, but rather wise and expertlike somehow. "Too slow is unfit" I may add. So protect yourself. Guru Dev teaches that true support is within. ⸻. The Biography of Guru Dev: The Life and Teachings of Swami Brahmananda Saraswati, Shankaracharya of Jyotirmath (1941-53). Vol 2. Penzance, Cornwall: Premanand, 2009. ⸻. Guru Dev as presented by Maharishi Mahesh Yogi: The Life and Teachings of Swami Brahmananda Saraswati, Shankaracharya of Jyotirmath (1941-53). Vol 3. Penzance, Cornwall: Premanand, 2009. ⸻. The Maharishi: The Biography of the Man Who Gave Transcendental Meditation to the World. Rev. ed. Lyndhurst, Hampshire: Evolution, 2005. ⸻. The Roots of TM; The Transcendental Meditation of Guru Dev and Maharishi Mahesh Yogi. Penzance, Cornwall: Premanand, 2015. ⸻. 2018. Strength in Stillness; The Power of Transcendental Meditation. London: Simon and Schuster UK. ⸻ Maharishi's Yoga: The Royal Path to Enlightenment. Fairfield IA: Maharishi University of Management Press, 2013. Shriver, LB Trusty. The Sweet Teachings of the Blessed Sankaracarya Swami Brahmananda Saraswati. Tr. and contr. Cynthia Ann Humes. Raleigh, NC: Lulu.com, 2013. Varma, Raj R. P. Strange Facts about a Great Saint: A Short Biography of . . . Brahmanand Saraswati . . . Jabalpur: Varma and Sons, 1980. 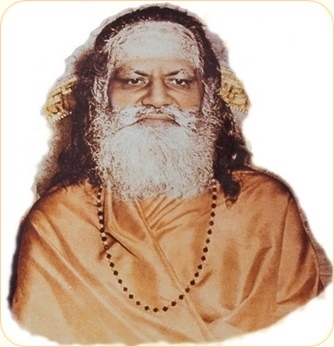 Yogi, Maharishi Mahesh. Maharishi Mahesh Yogi on the Bhagavad Gita: A New Translation and Commentary. Chapters 1-6. London: Penguin 1969. ⸻. The Science of Being and Art of Living. New York: Plume/Penguin, 2001.